Bane Coat is an inspiration taken from the blockbuster movie Batman: The Dark Knight Rises. The Bane character performed by Tom Hardy is known for his breathtaking perfomance in Christopher Nolan’s Inception. 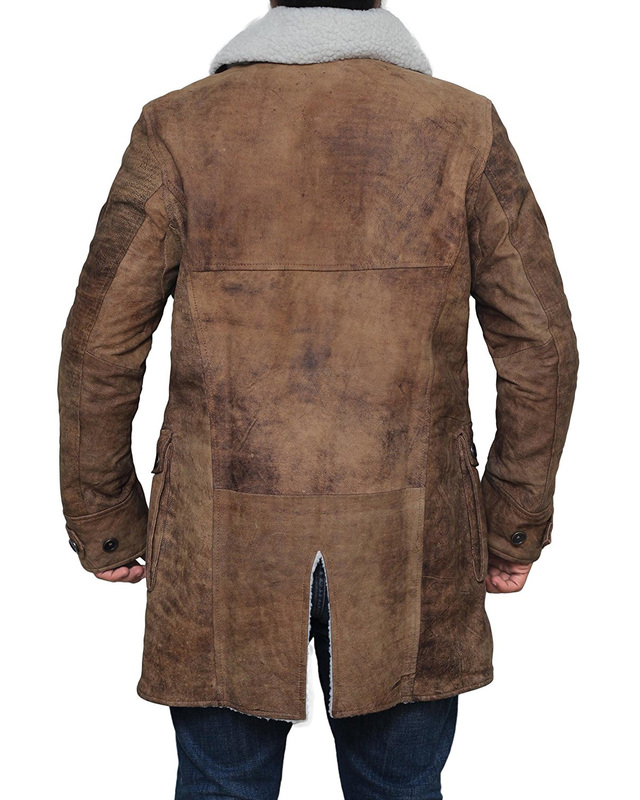 This Bane coat is made of 100% real distressed leather features a front button placket closure, notch collar, two chest and two front hands warmer side pockets. The jacket has two pockets inside and finished with interior faux shearling lining for your high comfort.